Xiaomi has launched its latest flagship device, the Mi Mix 2 in India. The Mi Mix 2 is priced in India at Rs. 35,999 for the 6GB/128GB variant. The phone will be an online exclusive for the first few weeks and will be available for sale on Flipkart and Mi.com from October 17. Some major highlights of the Xiaomi Mi Mix 2 are its ceramic body, full view display with 18:9 ratio, Snapdragon 835 processor and a combination of 6GB of RAM and 128GB internal storage. 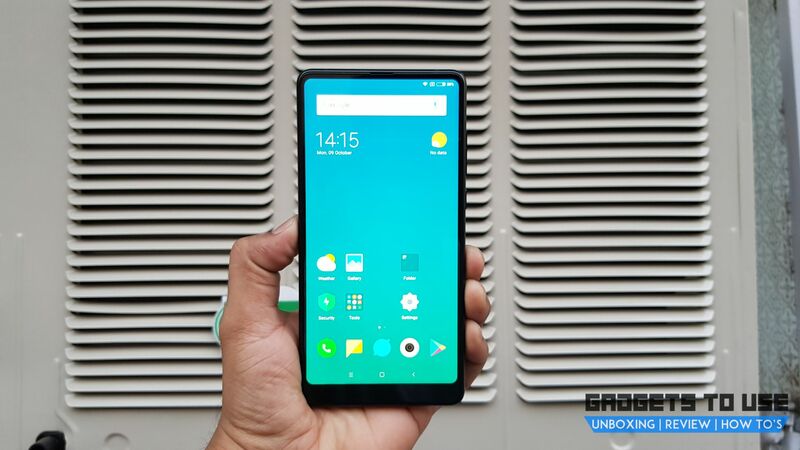 The Mi Mix 2 is the most expensive smartphone till date from the Chinese smartphone maker in India. Still, going by it premium features it is being seen as an affordable flagship device. Looking at the specifications it can be an alternative to the likes of OnePlus 5 and Honor 8 Pro. But given its price, it is the closest competitor to OnePlus 5. OnePlus 5, that was launched back in June is priced at Rs. 32,999 for the 6GB RAM/64GB variant. 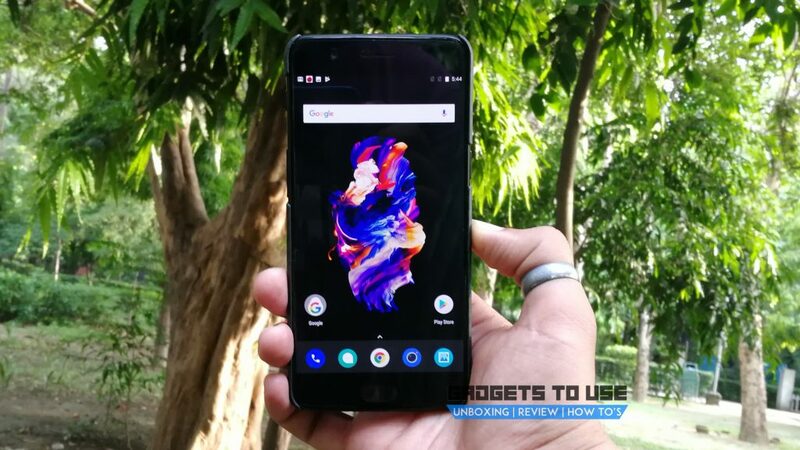 Based on the price and the specifications we have done a quick comparison between both the Mi Mix 2 and OnePlus 5 devices. We tell you here which one to buy! The Mi Mix 2 sports the ceramic and metal unibody with the rounded edge. The phone is easier to grip and keep from slipping despite the ceramic body and feels premium with a fine finish at the back. If we talk about the display, more than 80% of the front is taken up by the IPS display. The Mi Mix 2 features a display with 5.9-inch screen and aspect ratio of 18:9. It comes with a Full HD+ resolution of 1080 x 2160 pixels. It offers a premium feel with ceramic body and Full View display. The OnePlus 5 comes with a 5.5-inch AMOLED display with 2560 x 1440 pixels screen resolution. 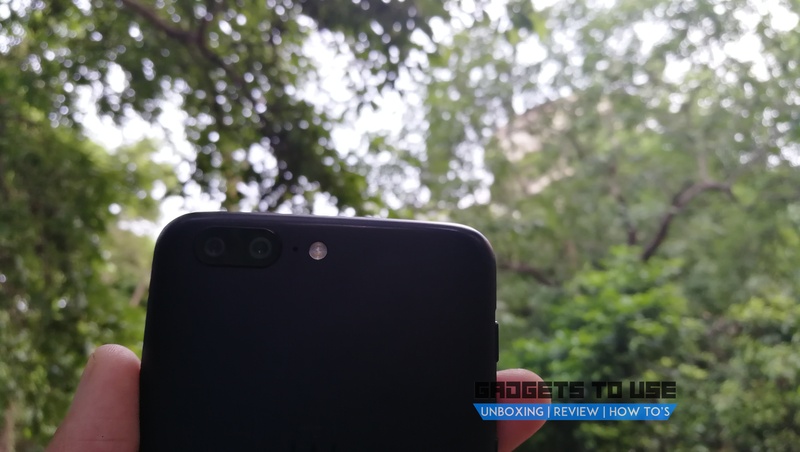 The thin metal rounded frame with the antenna bands placement, the dual camera setup and noticeable bezels on 5.5-inch screen do not offer it a premium look. Design and build quality wise Mi Mix 2 definitely surpasses the OnePlus 5 – the ceramic body of Mi Mix 2 does offer a premium feel. Also, as we can see Mi Mix 2 is offering a slightly bigger and bezel-less display with better resolution. The Mi Mix 2 is the winner in design and display. The Mi Mix 2 is powered by Snapdragon 835 chipset with octa-core processor clocked at 2.45 GHz. It is coupled with 6GB of RAM and has 128GB built-in storage that should be adequate for most of the users out there. However, the internal storage cannot be expanded. On the other hand, the OnePlus 5 comes with a similar Snapdragon 835 octa-core processor clocked up to 2.45 GHz. This is further coupled with 6GB or 8GB of RAM and 64GB/128GB internal storage. Again, the internal storage cannot be upgraded on the OnePlus 5 as well. By looking at the hardware of the two devices, there is no direct winner. Also, if we talk about storage, Mi Mix 2 and OnePlus 5 are again on the same page in this segment. OnePlus 5, though has an 8GB variant as well, but this doesn’t make much difference. The Mi Mix 2 runs on Xiaomi’s own Android skin MIUI’s latest version MIUI 9, which is based on Android Nougat 7.1. MIUI 9 is the best version of MIUI so far. The phone doesn’t lag and the apps, animations & graphics are slick and smooth when navigating on Android Nougat. OnePlus 5 also runs its own Oxygen OS 4.5 based on Android Nougat 7.1.1. The Oxygen OS running on top of the OnePlus 5 also gets many Oxygen OS updates recently to fix some bugs. When it comes to performance, OnePlus also performs well with the latest version of the software. Again, when it comes to the software, this is mostly down to user preferences. The MIUI 9 skin offers an enriched experience with a lot of features, whereas OxygenOS is closer to stock Android with some extra features on top. Mi Mix 2 sports a single camera at the rear which is a 12MP sensor. The camera features include Phase Detection Autofocus, 4-axis OIS, and 4K video recording. On the front, Mi Mix 2 features a 5MP camera which is at a very odd position, at the bottom side of the display. Most people will not get used to it soon. On the other hand, OnePlus 5 features a 16MP+20MP dual rear camera with f/1.7 and f/2.2 apertures respectively. The camera features include PDAF, 2x optical zoom, dual-LED flash. At the front, a 16MP, f/2.0 camera is quite impressive too. It is also capable of recording 4K videos and shooting in RAW format. At the front, it has a 16MP camera. The OnePlus 5 has an upper hand in camera department due to a dual camera configuration. Battery, which may be the decisive component between any two devices, is also not quite different here. The Mi Mix 2 houses a 3,400 mAh battery that performs really well. On the other hand, the OnePlus 5 comes with an almost similar 3300 mAh battery. Also, both the batteries support Quick Charge. Mi Mix 2 is priced at Rs. 35,999 for the 6GB/128GB combination. On the other hand, the OnePlus 5 is priced at Rs. 32,999 for its 6GB/64GB variant. However, the 128GB variant of OnePlus 5 with 8GB RAM is priced at Rs. 37,999. Both the phones are available online, while OnePlus 5 is now also available on Croma offline stores. So, going by prices we cannot decide which one to choose, as both are priced almost similar. Still, going into the storage, 6GB/128GB Mi Mix 2 seems a good option in Rs. 35,999. By going through the features and specifications of both the flagship devices, there are few considerable differences we have found. First, let’s take a look at the design and build, in this department Mi Mix 2 is definitely a winner with its premium look. If we talk about the hardware, storage or software, both Mi Mix 2 and OnePlus 5 are quite identical. However, in the camera department, it is OnePlus that has some nice features and shoots good pictures and videos. If you are a not a big fan of any of the brand and only looking for a flagship premium device then the Mi Mix 2 is worth considering. Because of its latest features, premium look with bezel-less design and still being economical, the Mi Mix 2 can surely be a good option.